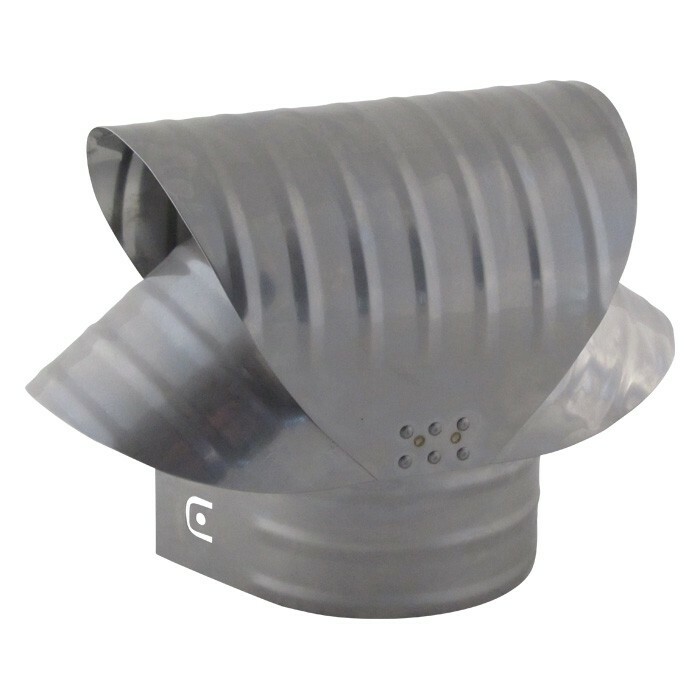 The FAMCO GVC Chimney Cap has been used for decades with gas, oil, coal, and wood burning chimneys. This chimney cap increases updraft and prevents downdrafts caused from wind. This works by forcing the wind to alter its direction over one of four gores on the cap. The change of direction creates an area of lower density air (partial vacuum) at the outlet of the pipe. Lower density air creates draft within the exhaust pipe, helping to remove exhaust gases and increasing overall efficiency. The positioning of the cap relative to the prevailing winds is not critical but is slightly more effective when placed with its flat side facing the winds. Quality constructed in 28 – 24 gauge Galvanized steel. 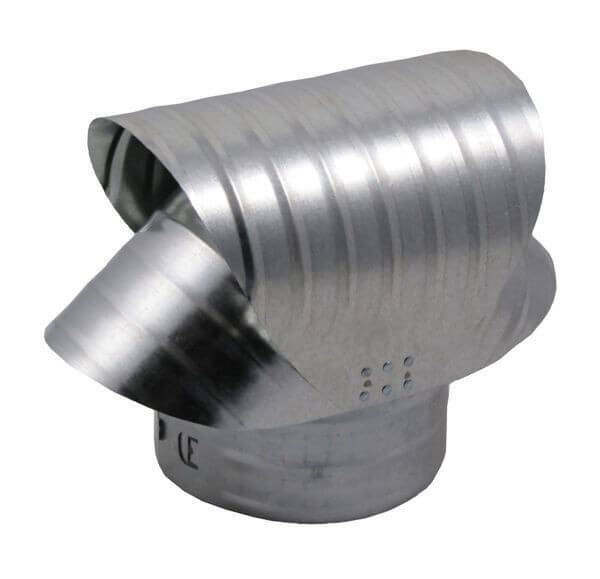 The FAMCO GVC Chimney Cap has a round base for installation over a round pipe and comes in a range of diameters from 3 inch to 16 inch with heights ranging from 4¼ inch to 15 inch respectively. 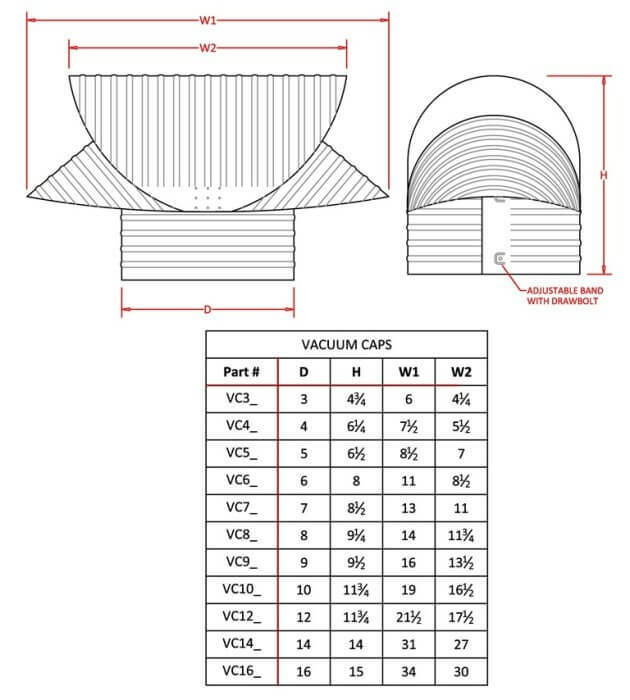 The FAMCO GVC Chimney Cap is manufactured by Famco in the United States and comes with a 1-year warranty against product defects and workmanship. If you have any questions about this product, please refer to the FAQs above or feel free to contact us by phone or email. 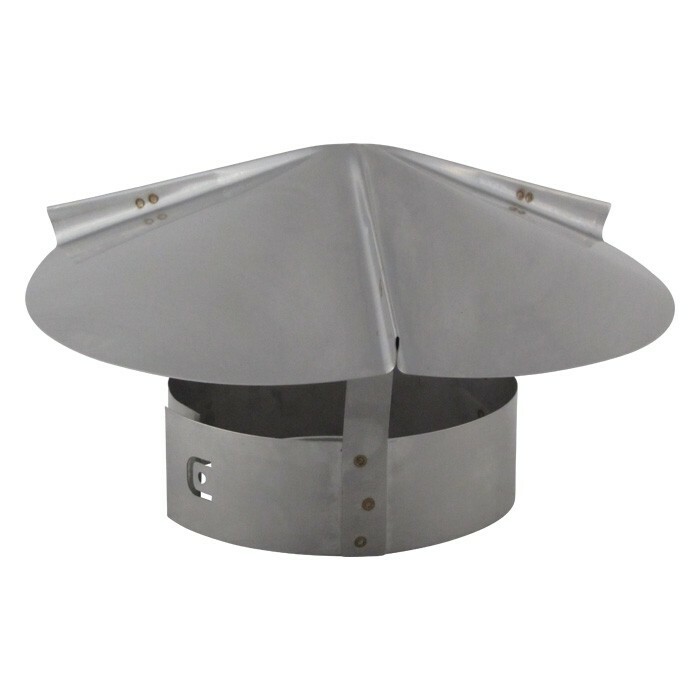 This chimney cap is a solid gauge that should last a long time, and the adjustable closure is helpful for fit. The large sizes I needed was a custom order, but still I received them within a week, in perfect condition and the shipping cost was reasonable.